I really like the Alien deckbuilding game. The second scenario is the Aliens movie, so I had a go at hunting the alien queen in the lost colony. Posted in Blog Posts and tagged Alien, Deck-building, Legendary Encounters on March 27, 2015 by Tim. I can’t hear you, I’m in space. 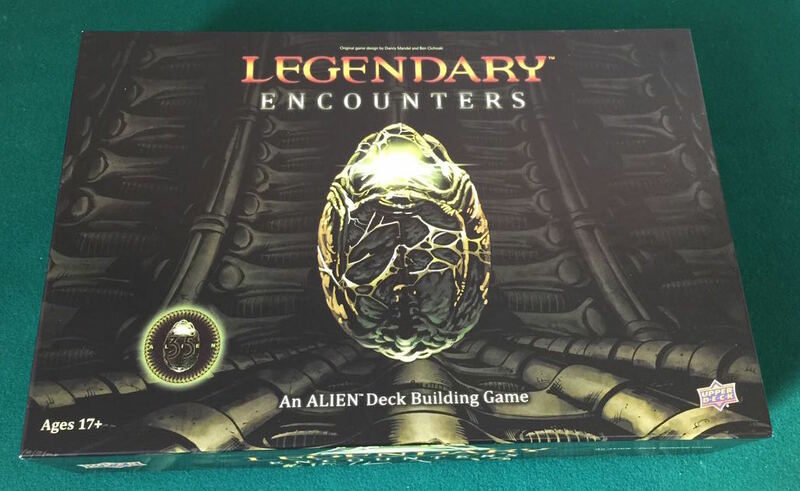 I liked the Dark Gothic game, so I thought I would try the Legendary Encounters: Alien game. This is another deck-building game and is a spin-off from the superhero-themed Legendary Marvel games. I’m not very keen on superhero games, but the Alien theme sounded good, especially as it is cooperative. In this game you play the crew and are defending against advancing hordes of aliens while trying to complete the objectives of the films. There are four games in one, as there is a completely different set of crew, objectives, and aliens for each of the four Alien films. I’m not sure I would bother playing the third and fourth scenarios, though. Posted in Blog Posts and tagged Alien, Deck-building, Legendary Encounters on March 9, 2015 by Tim.